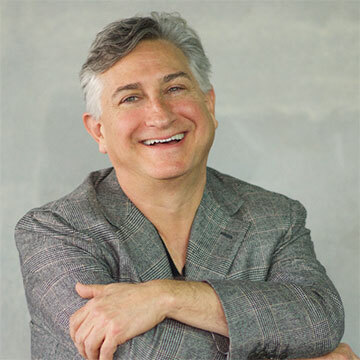 Dan Klein teaches Improvisation full time at Stanford University where he is a Lecturer of Management at the Graduate School of Business, a Lecturer in the Department of Theater and Performance Studies, and an instructor at the d.school. He was recently named Stanford Teacher of the Year by the Student’s Association. At the GSB he co-teaches (with Professor Deb Gruenfeld), “Acting With Power” which explores the use of status behaviors to increase organizational effectiveness. Dan and Deb also do a version of the class for executive education programs like the Executive Program for Social Entrepreneurs. In the theater department, Dan teaches classes on short and long form improvisation, as well as StoryCraft, a class co-designed with Michelle Darby to help students tell true personal stories onstage in front of a live audience. His work at Hasso Platner Institute for Design involves teaching workshops on Improv and Design, Game Design and ReDesigning Theater for interdisciplinary graduate students studying Design Thinking. The Hasso Platner Institue for Design is a graduate program that uses design thinking to drive multidisciplinary innovation. Students from Business, Engineering, Education and the Humanities come together to solve big, messy problems. 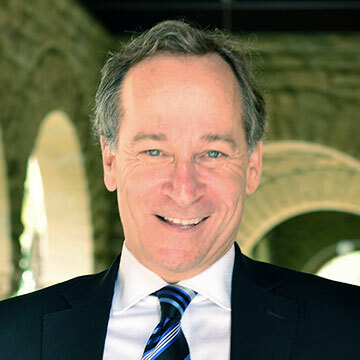 Beyond Stanford, Dan has lead similar workshops custom tailored for various groups, including Singularity University, the High Performance Leadership program at IMD Business School in Switzerland and the Kauffman Fellows Program helping to train global leaders in venture capital. Dan has also partnered with Stanford Professor Carol Dweck to create interactive workshops on her breakthrough research on Mindset. 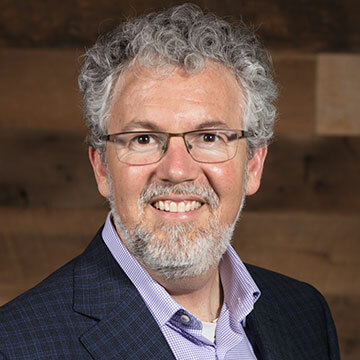 Dan’s other clients include: Google, HP, Cisco, Oracle, Uber, Linkedin, Nestle, Colgate, Panasonic, St. Jude Medical Devices, Axon, Visa, Schwab, First Republic, East West Bank, ING, Blackrock, Lucasfilm, Kahn Academy, Kaiser Permanente, United Health Group, Nike, Fenwick & West, Randstad and many more. 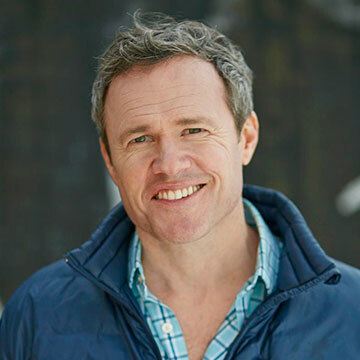 Adam is founder and CEO of Global Education Media Studios and Entertainment Media Partners, and a faculty member at the prestigious UC Berkeley Haas School of Business. He has served as President of National Geographic Films, Senior Vice President at Walt Disney Studios, and in senior roles at Creative Future. Adam publishes the popular digital magazine Cultural Weekly, an experiment in participatory civic media, supported by Next Echo Foundation. He is the author of two books on film and media, both published by Macmillan. 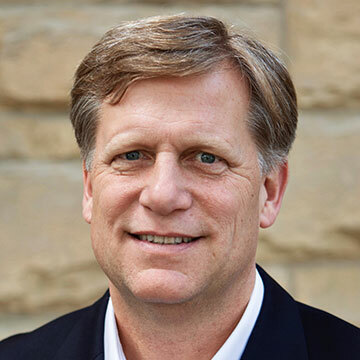 Michael McFaul is Professor of Political Science, Director and Senior Fellow at the Freeman Spogli Institute for International Studies, and the Peter and Helen Bing Senior Fellow at the Hoover Institution. 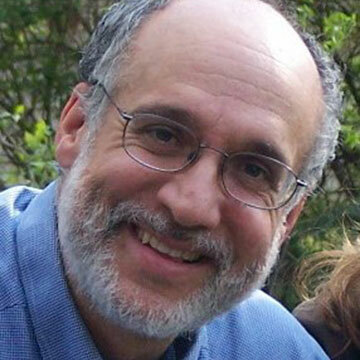 He joined the Stanford faculty in 1995. He is also an analyst for NBC News and a contributing columnist to The Washington Post. Prof. McFaul served for five years in the Obama administration, first as Special Assistant to the President and Senior Director for Russian and Eurasian Affairs at the National Security Council at the White House (2009-2012), and then as U.S. Ambassador to the Russian Federation (2012-2014). He was also the Distinguished Mingde Faculty Fellow at the Stanford Center at Peking University from June to August of 2015. He has authored several books, most recently “From Cold War to Hot Peace: An American Ambassador in Putin’s Russia.” Earlier works include Advancing Democracy Abroad: Why We Should, How We Can; with Kathryn Stoner, Transitions To Democracy: A Comparative Perspective; with James Goldgeier, Power and Purpose: American Policy toward Russia after the Cold War; and Russia’s Unfinished Revolution: Political Change from Gorbachev to Putin. His current research interests include American foreign policy, great power relations, and the relationship between democracy and development. Pamela Meyer thinks we’re facing a pandemic of deception, and she’s arming people with tools that can help take back the truth. Author of the bestselling book Liespotting, and known as the nation’s best known expert on deception, her TED talk, “How to Spot a Liar,” has garnered over 19 million views and is one of the 15 most popular TED talks of all time. She is CEO of Calibrate, a company that trains private and public sector professionals in verbal and non-verbal cues to deception, facial micro-expression interpretation, advanced interrogation techniques, and inside threat mitigation. She holds an MBA from Harvard, an MA in Public Policy from Claremont Graduate School, and is a Certified Fraud Examiner. She was previously a media executive with over 20 years in management at Prodigy, National Geographic Television, Vestron, and Electronic Arts. She has also started several successful Internet ventures, under the Simpatico Networks banner. Meyer was recently top-ranked on Business Insider‘s list of “Smart thinkers everyone should follow on Twitter”. 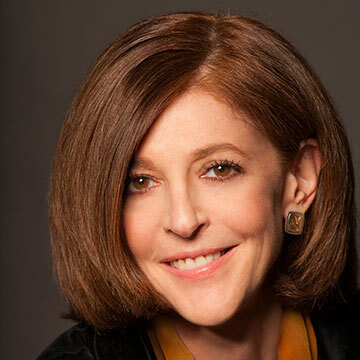 She has been featured in publications such as The Harvard Business Review, Bloomberg BusinessWeek, and Forbes. Gary Mule Deer’s comedy and music have set him apart as one-of-a-kind. He has performed on every major concert stage in the country and made over 360 television appearances, including many on both The Tonight Show and David Letterman. He was one of six comedians, along with Jay Leno, to star on the first HBO Comedy Special, was the comedy host of Don Kirshner’s Rock Concert for four years on NBC, and a series regular on Make Me Laugh. He is currently featured on the DVDs Jeff Foxworthy’s Comedy Classics and The World’s Greatest Stand-up Comedy Collection, and is one of the most played comedians on Sirius XM’s Laugh USA. For over five decades, Gary has entertained in Las Vegas, Reno, Lake Tahoe, and Atlantic City, and shared the stage with over 100 music legends. Gary is a regular performer on the Grand Ole Opry, and has also been touring with Johnny Mathis and the orchestra as special guest since 1994. 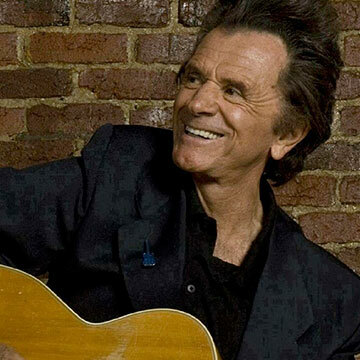 In addition to his well-known comedy he is a talented singer and musician, performing classic country, including the music of Johnny Cash, for over 50 years. Gary Mule Deer is currently the subject of an upcoming documentary by VIA Productions of Memphis. An avid golfer, Gary has participated in hundreds of celebrity/charity golf events, including the AT&T Pebble Beach. 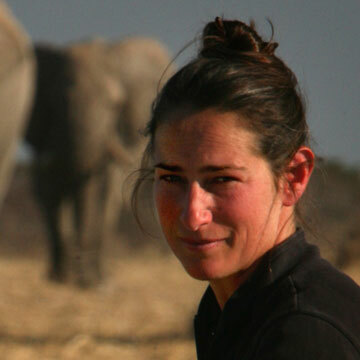 Dr. Caitlin O’Connell is a Consulting Assistant Professor in the Department of Otolaryngology, Head & Neck Surgery at Stanford University School of Medicine and a world-renowned expert on elephants and vibrotactile sensitivity. She is the author of the internationally acclaimed science memoir, The Elephant’s Secret Sense (2007, Simon & Schuster), which highlights a novel form of elephant communication as well as the elephant’s conservation plight. Her narrative nonfiction photo book An Elephant’s Life (2011, Lyons Press) uses a graphic novel approach to revealing subtle and intimate aspects of elephant society. Her co-authored nonfiction children’s book, The Elephant Scientist (2011, Houghton Mifflin Books for Children) won five awards, including the Robert F. Sibert Honor and Horn Book Honor for 2012. A Baby Elephant In The Wild (2014, Houghton Mifflin Harcourt Books for Young Readers) was a Junior Library Guild Select and winner of the 2015 NSTA award for Outstanding Science Trade Book for students K-12. Elephant Don: The Politics Of A Pachyderm Posse (2015, University of Chicago Press), brings to light the hidden world of male elephant society. It is now available in paperback and is the subject of the award-winning Smithsonian documentary, ELEPHANT KING. Her debut novel, Ivory Ghosts (2015, Random House) was nominated for the International Thriller Writer’s Thriller Award for Best ebook Original Novel. The sequel, WHITE GOLD, is set in China and comes out in 2017. Bridge To The Wild (2016, Houghton Mifflin Harcourt Books for Young Readers) invites young readers on a journey to understand why animals are so special. O’Connell is the co-founder and CEO of the nonprofit organization, Utopia Scientific (www.utopiascientific.org), dedicated to research and science education. She is also co-director of Triple Helix Productions, with a mandate to develop more accurate science content for the media. She has taught Science Writing for Stanford University and The New York Times Knowledge Network. Contact her at ceoconnell@stanford.edu. Also visit her elephant blog: elephantskinny.tumblr.com. And be sure to watch an award-winning documentary about her research on the Smithsonian Channel: www.smithsonianchannel.com/sc/web/show/3373743/elephant-king. Gary M. Pomerantz, historian, journalist and Stanford University lecturer, is the author of six nonfiction books. Next month, Penguin Press will publish his newest, The Last Pass, an intimate narrative about race, mortality, and regret that tells the story of Bob Cousy and the storied Boston Celtics dynasty of the 1950s and Sixties. Pomerantz’s first book, Where Peachtree Meets Sweet Auburn (1996), a multi-generational biography of Atlanta and its racial conscience, was named a New York Times Notable Book of the Year. Pomerantz spent 17 years as a daily journalist, first as a sportswriter for The Washington Post, and later at The Atlanta Journal-Constitution where he wrote about race, sports, culture and politics, and served for a time on the newspaper’s editorial board. His work has appeared in Sports Illustrated, The Wall Street Journal and The New York Times. He authored Nine Minutes, Twenty Seconds about a 1996 plane crash, a book later published in China, Germany and England; WILT, 1962, about basketball star Wilt Chamberlain’s legendary 100-point game, and named an Editors List selection by The New York Times; and The Devil’s Tickets (2009), about a Jazz Age murder and trial in Kansas City and the contract bridge craze that swept the nation. His most recent book, Their Life’s Work, about the 1970’s Pittsburgh Steelers, explores football’s gifts and costs. He has served the past twelve years as a lecturer in the Graduate Program in Journalism at Stanford. He lives with his wife Carrie in San Francisco. Rives is a poet, paper engineer and curator of the Museum of Four in the Morning. He appeared on Seasons 3-6 of HBO’s Def Poetry Jam and has six talks on TED.com. Rives likes what everybody likes: whistling, romance, houseplants, motorcycles and the National Register of Historic Places. Michael Alec Rose is a composer of symphonic, chamber, piano, vocal, wind ensemble, ballet, and theater music. His music has been performed widely in the United States, as well as in Europe and South America. With renowned violinist Peter Sheppard Skaerved, he co-directed six rounds of an International Exchange Program between Vanderbilt and the Royal Academy of Music, London (2005-2016), culminating in the premiere of Il Ritorno: Perambulation for Solo Violin, sponsored in part by the Dartmoor National Park Authority (June, 2016). This piece appears on a CD of works for solo violin and violin-viola duo, released last November on the Métier label. A retrospective of Rose’s song cycles and solo piano music (“News of the Universe”) was presented at the National Opera Center in New York in 2015. In October 2017, Rose’s Sixth Quartet (Rousseaux) and Fourth Viola Sonata (Canticle) were premiered. A solo piano suite, Musica senza rumore, inspired by paintings in the Doria Pamphilj Gallery in Rome, has been picked up by the Rome Chamber Music Festival (premiere TBA). Another new piece inspired by artworks is Rose’s Three Interventions, commissioned by Austin Camerata for their collaboration with the Blanton Museum of Art (May 2018 premiere). On academic leave last fall, Rose completed his music-theatre version of Sylvia Townsend Warner’s novel Lolly Willowes for a group of wonderful singers and players in Houston, who will premiere the show in April 2019, with the blessing of the author’s estate. The Seventh Quartet will be given its premiere performance by the Cassatt String Quartet at the Seal Bay Festival of American Chamber Music (Maine, summer 2019). Rose’s first book, Audible Signs: Essays from a Musical Ground, was published by Continuum Bloomsbury Books in 2010. His essays have appeared in Brooklyn Rail and Literary Imagination. He has received 30 ASCAP Plus awards. Rose teaches at Vanderbilt University’s Blair School of Music. He has won three university-wide teaching awards at Vanderbilt, including a Chair of Teaching Excellence. As the host of National Public Radio’s Wait Wait…Don’t Tell Me! 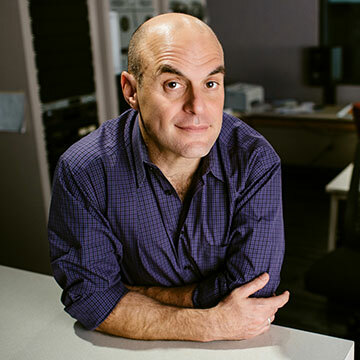 Peter Sagal is heard by more than 5 million people every week, broadcast on 600 public radio stations nationwide and via a popular podcast. The hour-long show has captivated news junkies across the country with its lighthearted approach to current events, and has become the biggest and most beloved weekend radio phenomenon since A Prairie Home Companion. The show received the prestigious Peabody Award in 2008. Sagal also hosted the PBS series, Constitution USA with Peter Sagal. Originally broadcast in 2013, the show follows him as he travels across country—on a Harley Davison Road King—to find out where the Constitution lives, how it works, its history and its vital relevance. The mini-series is often used to teach civics in middle school and high school civics classes around the country. A native of Berkeley Heights, New Jersey, Sagal attended Harvard University, and has worked as a literary manager for a regional theater, a stage director, an actor, an extra in a Michael Jackson video (Remember the Time), travel writer, an essayist, a ghostwriter for a former adult film impresario and a staff writer for a motorcycle magazine. He is the author of numerous plays that have been performed in large and small theaters around the country and abroad. He has also written a number of screenplays, including an original screenplay that became, without his knowledge, the basis for Dirty Dancing: Havana Nights. His second book, “The Incomplete Book of Running,” about his life and adventures as a midlife marathoner, will be published by Simon and Schuster in October.